Another common question I get asked in clinic is the difference between the two most used taping methods – rigid and kinesio taping. In short, rigid taping is used for joints such as ankles and shoulders to provide added support, while kinesio tape is used for muscles and joints. They work very differently, which I will explain below. Here at Mona Vale Chiropractic Centre, we use both forms regularly. 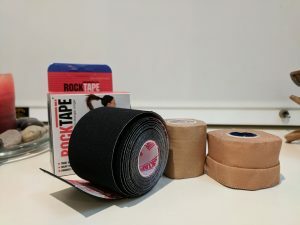 Rigid taping is the most common technique and has been used for a very long time in sport. It is used primarily on joints such as ankles, knees, wrists, elbows and shoulders. The role of the tape is to physically support the joint by limiting movement. The tape is primarily used in returning to sport after a joint sprain, for example an ankle sprain. It provides support and stability that gives the athlete confidence within the joint. It is commonly used in rugby union/league, AFL and netball. Kinesio taping works entirely different to rigid. The tape is quite stretchy and is applied in a stretched position. Because it is stretched, it bunches once applied. This bunching lifts up the different layers of skin, fascia and muscles which encourages blood flow and lymph drainage within the area. This tape does not restrict joint movement, rather it increases joint proprioception. This is very effective in rehabilitating post an ankle sprain, as often the joint is weak and feedback from the joint to the brain for positional awareness is reduced. The tape provides a stimulation of the skin that alerts the brain to the area, thus more muscle and joint activation. 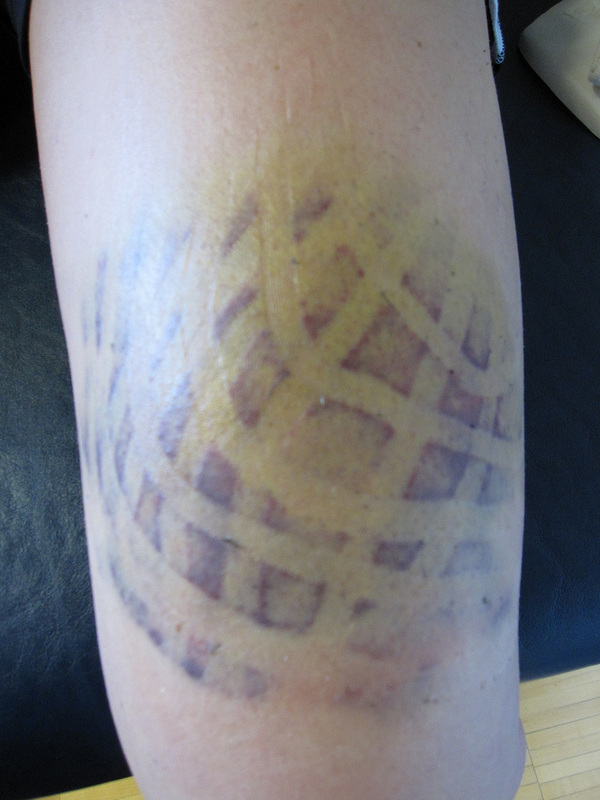 Another benefit is that kinesio tape can be kept on for 5-6 days post application and can be worn through vigorous training, swimming and showering. Here at Mona Vale Chiropractic Centre we use and recommend Rocktape. Exercising into pain with a chronic injury?